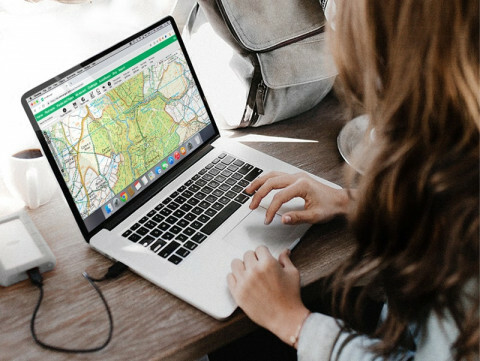 ViewRanger contains thousands of free hiking routes for you to download and follow all over the world, but you can also plan your own hikes at home then follow them using the app. 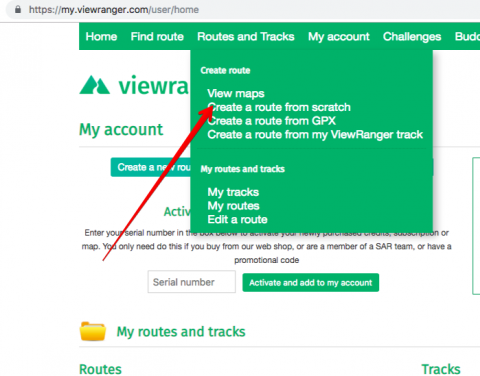 Follow these eight simple steps to plot routes using the my.viewranger.com website, then sync them to your account so you can follow them using your smartphone. Go to my.viewranger.com then log in to your ViewRanger account using the same username and password you used to sign up to the app. If you haven’t registered yet, the sign-up process is free and only takes a few seconds. 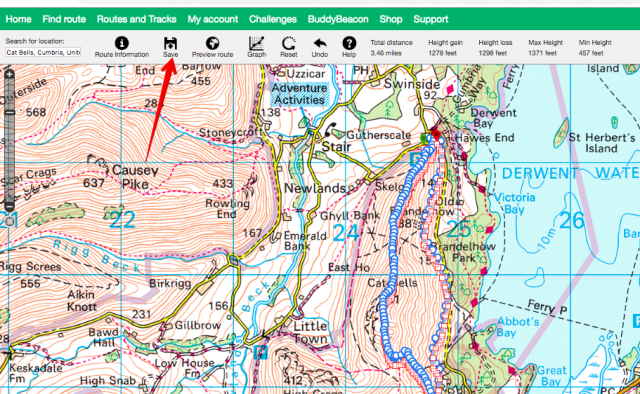 To start plotting a new route, select the ‘Routes and Tracks’ dropdown menu, then choose to ‘Create a route from scratch’. You can also create routes using existing GPX files (add link: https://www.viewranger.com/en-GB/about-us/blog/2018/08/08/how-to-import-a-gpx-file) or by converting tracks you’ve previously recorded in the app, but this blog focuses exclusively on creating new ones using our online route-plotting tools. Make sure your map is centred on the area you want to explore on your hike. You can do this either by dragging the screen to your preferred location, or search for it by name using the ‘Search for location’ above the top left corner of the map screen. Click the map at the start point of your route, and you’ll see a small white box with a green location pin appear. 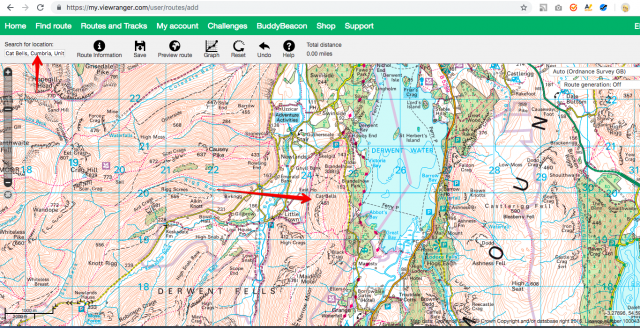 Continue clicking along the map in the direction you want to hike to create a red line displaying your route. The green pin will stay at the start of your route, with a red pin showing the finish, and the series of blue pins in-between display each waypoint you’ve plotted along the route. Keep clicking the map until you’re happy with the way your toute looks, and if you make a mistake or decide to alter the course of your route, simply click on the individual pins to edit or delete them. By choosing to edit a waypoint, you get the option to add various levels of detail to it. This can include a name, a block of text, a bespoke icon such as a number or symbol, a photograph, and even an audio clip. Adding detail to waypoints adds a whole new dimension to each route. When you reach each waypoint on your hike that extra information will pop up automatically in the ViewRanger app – either in the traditional map or Skyline augmented reality view – giving you a fully interactive route guide experience. 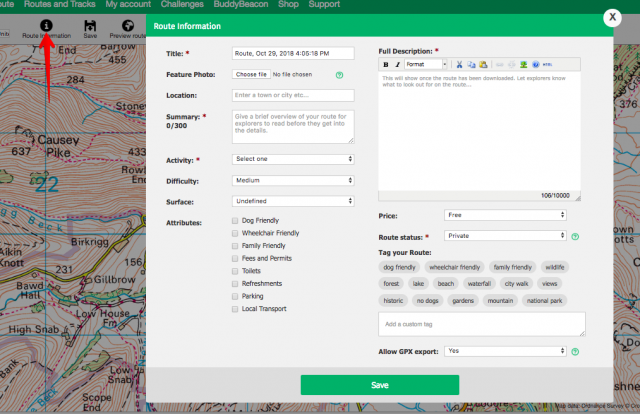 Selecting the ‘Route information’ button in the top menu allows you to add a full description to your route, including a name, main image, activity type, difficulty level and a detailed written description of what to expect on the walk. 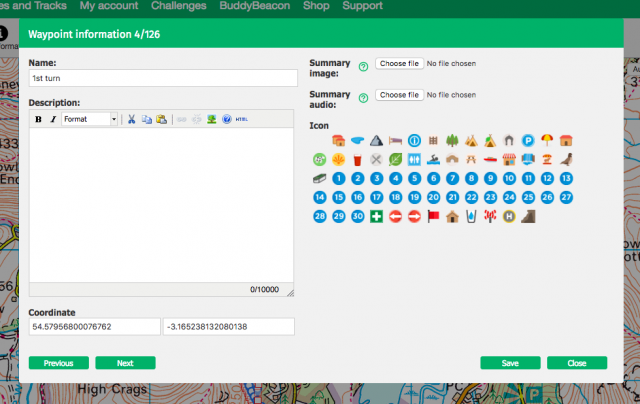 If you’re planning to publish your route so other ViewRanger explorers can download and follow it too, you can also add helpful information about car parking, toilets, refreshments and local transport, among other things. The most downloaded routes include inspiring photos. Once you’re happy with the route you’ve created, hit save. It will now be stored in the ‘My Routes’ section of your online profile, where you can make unlimited edits if you decide to change anything. 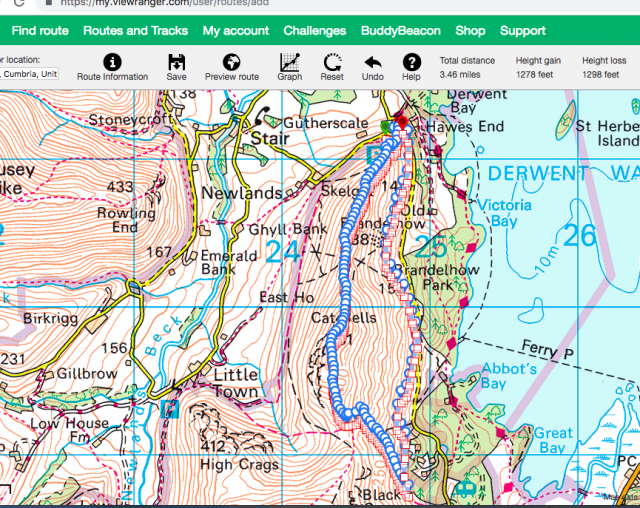 To access the route in the ViewRanger app, open the app and tap the button in the top-right corner (three dots). 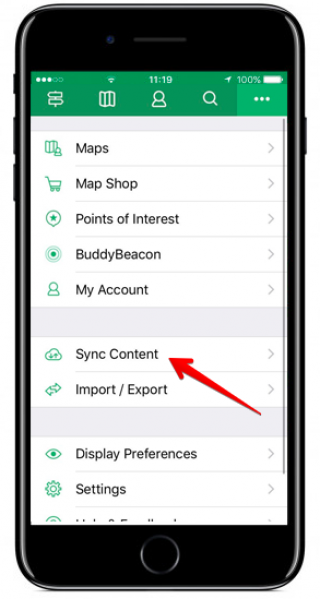 Choose ‘Synchronize content’ from the menu that appears, then choose to ‘Upload routes’. Once the sync has completed, go to your profile and the route will appear in the ‘Routes’ tab. Open it up, click ‘Start route’ and you’re ready to go!